(2) The Two Origen's - Origen the Platonist and Origen the Christian. (5) The Two Arii - Arius of Alexandria the Platonist and Arius the Christian Presbyter. (7) Identity Frauds, conclusions and recommendations - Condemnation of pious forgery. Identity Fraud: - A criminal activity involving the use of a stolen or misappropriated identity. The process usually involves either stolen or forged identity documents used to obtain goods or services by deception. and pretend that he just doesn't see.?" --- Bob Dylan, "Blowing in the the Wind"
of Plato's original books by the Apostolic Lineage of the Academy of Plato. The later 3rd and 4th century CE Platonists who are to be examined here would not have referred to themselves as Neoplatonists. It is generally now agreed that they perceived themselves to the true followers, consistently following a great and well respected historical lineage, sourced with Plato's original teachings. Bound within the books of Plato, such as the Timaeus, the Republic, the Parmenides, the Sophist, the Philebus and other works, yet embraced by the life of the philosopher, metaphysican and theologian, the Platonic conception of divinity was handed from one generation to another for centuries. It was all about the One, Spirit and Soul. The Platonists preserved a canon of "books", and arguably by the mid 3rd century, codex technology was becoming available to them, if in fact they themselves were not unassociated with its invention. "Plato's dialogues formed a coherent system structured "not in any unwritten doctrine but in an ordering of the corpus which was designed to lead the student from the experimental or tentative stage, a mere testing of his wits, to the communication in which all truth becomes luminous to the intellect" ..... These Platonists regarded themselves as true followers of Plato's teaching, focusing not only on the philological analysis of the dialogues but mainly on the philosophical discussion of the truths within them." - Bryn Mawr Classical Review (2007) of Mark Edwards', "Culture and Philosophy in the Age of Plotinus".
" It covered an extent of ground consisting of between nine and ten English acres. The form was quadrangular, flanked with sixteen towers. Two of the sides were near six hundred, and the other two near seven hundred, feet in length. The whole was constructed of a beautiful freestone, extracted from the neighbouring quarries of Trau, or Tragutium, and very little inferior to marble itself. Four streets, intersecting each other at right angles, divided the several parts of this great edifice, and the approach to the principal apartment was from a very stately entrance, which is still denominated the Golden Gate. The approach was terminated by a peristylium of granite columns, on one side of which we discover the square temple of Asclepius, on the other the octagon temple of Jupiter. The latter of those deities Diocletian revered as the patron of his fortunes, the former as the protector of his health." - Edward Gibbon, The Decline And Fall Of The Roman Empire, Chapter 13. Unfortunately the traditional and custodial sponsorship of the Panhellenic culture and its philosophy was abruptly ceased in the Nicaean age of the Platonists Sopater and Iamblichus. Constantine directed a particularly savage destruction on the temples and libraries of Asclepius, for example. It remains an historical fact that where the Roman Emperor Gallienus publically praised Plotinus, the Roman Emperor Constantine publically executed Sopater. Historians should be aware of such a change in attitude "at the top level". Equally destructive, but far more lasting and insidious, the new high technology of the codex was imperially subverted to change the course of history. of key Alexandrian Platonist theologians, as part of a fascist 4th century revolution. The Monotheistic God of Constantine, The New Testament Canon, and its Apostolic Lineage. Again unfortunately it needs to be pointed out that the forgery and identity fraud to be reported here, is to be associated with the events operative from Constantine's military supremacy and the Christian revolution celebrated by the Nicaean council.. Constantine's rule in one contemporary source is described as Neronian. Immediately after Constantine's military supremacy in 324 CE and before the Council of Nicaea in 325 CE, ancient and highly revered Panhellenic temples, libraries and shrines were utterly detroyed, chief priests were publically executed, and a general prohibition on the use of the Panhellenic temples was enforced by the army. Over the foundations of the missing Panhellenic temples, newly constructed Christian basilicas would soon be completing the makeover of the cultural architecture. Personally appointed tax exempt Bishops of Constantine would gradually percolate across all the dioceses of the empire. As part of the Christian revolution, key historical identities in the lineage of the Platonists are fraudulently misappropriated by Eusebius for the purpose of establishing retrospective reputation and authenticity for the newly emergent Christian lineage. With such absolute power, the opportunity arose for the victors to write a new history appropriate for their miraculous victory. And they did. Evidence of a systematic identity fraud is presented below, case by case, and a summary is sketched. Eusebius is found clearly guilty of pious forgery and identity theft. If there is anything to say in Eusebius's defence, we may comment that the criminal activity was imperially commissioned, and that Eusebius may have had very little choice in his literary works. We may believe that in Constantine's statement, directed to the Platonic Saints and Philosophers of the East, that "Socrates critical questions are a menace to the state", Constantine was not prepared to indulge any critical or skeptical questions from the Platonists. The opportunity to ask questions did not arise in that epoch. Or for many epochs thereafter. We must remember this. Eusebius, followed by Jerome, falsely asserts that Ammonius, the founder of NeoPlatonism, was born a Christian, and remained faithful to Christianity throughout his life. He wrote that Ammonius produced several scholarly works, most notably "The Harmony of Moses and Jesus". Eusebius also wrote that Ammonius composed a synopsis of the four canonical gospels, traditionally assumed to be the "Ammonian Sections", now known as the Eusebian Canons. Eusebius attacks Porphyry for saying that Ammonius apostatized early in his life and left no writings behind him. Ammianus does not mention a Christian Ammonius. Mark Edwards, in Ammonius, teacher of Origen (Journal of Ecclesiastical History) in 1993 found it necessary to stress the distinction between the two "Ammonii". Porphyry and Eusebius, antagonistic witnesses, agree that one of Origen's early tutors was called Ammonius. This was also the name of the tutor of Origen's younger contemporary Plotinus, and it has long been the fashion to argue or assume that they were pupils of the same man. Heinrich Dorrie perhaps remains alone in his view that the two men called Ammonius were distinct, a view for which I shall argue in this article, though not entirely on Dorrie's grounds. Was Ammonius a Christian or a pagan? Porphyry says he was a pagan; Eusebius demurs. Another Church Father, Jerome, in his work entitled On Illustrious Men (Chapter 55) says: "Porphyry falsely accused him [Ammonius] of having become a heathen again, after being a Christian, but it is certain that he continued a Christian until the very end of his life." Did Ammonius the Neoplatonist write any books? Porphyry and Plotinus both indicate that Ammonius left no written works. Conversely, Eusebius asserts that Ammonius was celebrated for the writings that he left. This confusion in identity may be due to the fact that Ammonius taught both Plotinus the Neoplatonist and Origen the Christian; later scholars on both sides wrote their own opinions about Ammonius, ignorant of the historical context in which the man lived. These two schools of philosophy and Christianity, were diametrically opposed and constantly at war with one another, during the third, fourth and fifth centuries. I have no opinion re the writing of any books, although I note that Pythagoreans were not supposed to put their more important teachings into writing. Also, in my view, it is very unlikely that the founder of Neoplatonic philosophy should have been at the same time a Christian. The unequivocal disagreement between Porphyry and Eusebius on these two important issues provides support for believing that there may have been two different men: Ammonius Saccas the Neoplatonist, and Ammonius of Alexandria, the Christian. It is the exception now that scholars, such as H. Langerbeck in The Philosophy of Ammonius Saccas: and the Connection of Aristotelian and Christian Elements Therein, JHS 1957, argue for one identity. Critical scholars in the past have remarked that Eusebius was presumably confusing Ammonius with the Platonist of the same name, but I disagree with this assessment. The systematic confusion of identity between figures in the 3rd century Platonic lineage with "shadowy Christians" is not evidence of confusion, but suggests an origin of systematic pious forgery via identity fraud. to show continuity between pagan and Christian thought." that had compelled the Roman state to surrender at the Milvian Bridge in 312.
and that their history could not be told except within the framework of the Church in which they lived. by virtue of its being both the oldest and the newest nation of the world." The Two Origen's - Origen the Platonist & Origen the Christian. A second Christian identity fraud appears in the Academy of Plato in the form of the figure of Origen the Christian. a student of the Alexandrian founder of the Neoplatonic lineage Ammonius Saccas (above). It is currently presumed quite haphazardly by many, that teacher of the Platonic Origen was the Platonic Ammonius Saccas. and that the teacher of the Christian Origen was the Christian Ammonius. The Swiss historian Jakob Burckhardt over a century ago came to the conclusion that "Eusebius was the first thoroughly dishonest historian of antiquity." It is instructive to repeat that over forty years ago, Robert M. Grant delivered a paper on Eusebius and Origen, as the Presidential Address at the dinner meeting of The American Society of Church History on December 29, 1970 in Boston. The fact that Grant mentioned Eusebius over thirty times and yet had nothing nice to say about him on every ocassion is remarkable, and may not have been digested. "Nearly everything that is recorded about the early history of Alexandrian Christianity lies in the Church History of Eusebius. Many Alexandrian theological writings are preserved, but as we might expect they cast little light on historical events. Now the basic difficulty with Eusebius's work is that it has to be classified as "official history". It therefore contains a judicious mixture of authentic record with a good deal of suppression of facts and occassional outright lies. He wrote it in defence of himself and his friends and their outlook toward the nascent imperial church establishment under God's messenger Constantine. .... For Eusebius, Origen was the hero of the whole Alexandrian-Caesarean axis." than Origen the Christian and his interpretation of the Parmenides was very unusual." In the case of the Christian Ammonius Identity Fraud, there are few if any consequences if Eusebius's false assertions are denounced for what they manifestly are - pious forgery. However in the case of the Christian Origen Identity Fraud these consequences are serious. But why would Eusebius wanted to have associated his own Christian lineage with the Platonists of the 3rd century? "This paper explores the way in which third-century philosophers, especially Platonists, portrayed themselves as high priests or "priests of the god who rules all." It argues that figures such as Origen, Porphyry, and Iamblichus incorporated this hieratic status into their identity at the expense of the reputations of more ordinary, local priests. Furthermore, they grounded their authority on theological and ritual matters in their knowledge of the nature of various kinds of spiritual beings inhabiting the cosmos, beings which they tended to order in systematic and hierarchical ways. Finally, this paper presents evidence that these intellectuals endeavored to use their authority in these matters to position themselves socially as potential advisors to provincial and imperial leaders." The Christian Origen represents perhaps the single most important "Early Christian" source on a number of issues, perhaps the two primary ones being for the extensive commentaries he purportedly authored on the canonical books of the new testament, and for the Greek translation of the LXX - the Hebrew Bible - eventually used by Eusebius in the Constantine Bible, and witnessed in the most ancient Greek codices. We therefore should not need to stress the critical nature of the charges. Eusebius and the entire Christian lineage, which from this perspective, at least in part, looks exactly like a systematic identify theft of the entire Platonic lineage, have a great deal of "Official Dogma" associated with this "Origen". was a Platonic philosopher at the school of Alexandria. cosmic drama of the soul, which he took from Plato." But in his essay, Robert Grant reminds us that Eusebius has essentially "developed a life of St. Origen", . "obscures facts", "gets important dates wrong", "his picture of Origen is basically incredible", "his chronology for Origen's youth is wrong" and most significantly that "Eusebius finds it difficult to correlate his legends about Origen with his legendary bishop list.". These charges are of course serious, but they do not as yet include charges that Eusebius has forged additional books in the name of the Platonic Origen. The books of the Platonic lineage via Plotinus had already received imperial sponsorship in the 3rd century, so it would appear that Eusebius selected a lesser known student of Ammonius, Origen the Platonist, in whose name he forged additional books, all distinctive in their treatment of the books of the new testament. Eusebius's forgery of these additional books in the name of Origen provides an almost perfect explanation to all aspects of a major controversy over the status of Origen's books in the later 4th and subsequent centuries, known as the Origenist Controversy. "One kind of account in pagan historiography Pagan historiography could help Eusebius considerably. That was the history of philosophical schools - such as we find in Diogenes Laertius. The idea of succession was equally important in philosophical schools and and in Eusebius' notion of Christianity. The bishops were the diadochoi of the Apostles, just as the scholarchai were the diadochoi of Plato, Zeno, and Epicurus. Like any philosophical school, Christianity had its orthodoxy and its deviationists. Historians of philosophy in Greece used antiquarian methods and quoted documents much more frequently and thoroughly than their colleagues, the political historians. To both Eusebius and Diogenes Laertius - Direct original evidence was essential to establish the rightful claims of orthodoxy against external persecutors and internal dissidents. Here again we can be certain that Jewish influences were not without importance for Eusebius. The idea of scholarly succession is fundamental to rabbinic thought, which had developed in its turn under the impact of Greek theory." The identity fraud known as Ammonius the Christian, and the identity fraud known as Origen the Christian were stolen - systematically misappropriated - from the lineage of the 3rd century Platonist theologians, and fraudulently inserted into an obviously fabricated lineage of the 3rd century Christian theologians. This cannot be regarded as either coincidental or harmless, and there is more evidence. Eusebius knew only too well that he was writing a new kind of history. The Christians were a nation in his view. Thus he was writing national history. it was born in heaven �with the first dispensation concerning the Christ himself� (1.1.8). Such, a nation was not fighting ordinary wars. Its struggles were persecutions and heresies. Behind the Christian nation there was Christ, just as the devil was behind its enemies. as guaranteed by the apostolic succession." A trinity of Christian identity frauds masquerading in the Academy of Plato is completed with the appearance of the Christian Bishop, Anatolius of Laodicea. Anatolius as yet has not been as thoroughly disambiguated as the earlier two identity frauds, but this process has commenced over recent years. Eusebius wastes no time as he introduces the highly regarded Platonist Anatolius as the Christian Bishop of Laodicea, by having his source support Josephus's account of "The Letter of Aristeas", and a BCE chronology for the first Greek LXX . Eusebius (H.E.) Chapter XXXII. The Distinguished Ecclesiastics Of Our Day, and Which of Them Survived Until the Destruction of the Churches. 6.... Anatolius was an Alexandrian by birth. In learning and skill in Greek philosophy, such as arithmetic and geometry, astronomy, and dialectics in general, as well as in the theory of physics, he stood first among the ablest men of our time, and he was also at the head in rhetorical science. It is reported that for this reason he was requested by the citizens of Alexandria to establish there a school of Aristotelian philosophy. 13 Anatolius did not write very many works; but in such as have come down to us we can discern his eloquence and erudition. In these he states particularly his opinions on the passover. It seems important to give here the following extracts from them. 14 From the Paschal Canons of Anatolius. "There is then in the first year the new moon of the first month, which is the beginning of every cycle of nineteen years, on the twenty-sixth day of the Egyptian Phamenoth; but according to the months of the Macedonians, the twenty-second day of Dystrus, or, as the Romans would say, the eleventh before the Kalends of April. 15 On the said twenty-sixth of Phamenoth, the sun is found not only entered on the first segment, but already passing through the fourth day in it. They are accustomed to call this segment the first dodecatomorion, and the equinox, and the beginning of months, and the head of the cycle, and the starting-point of the planetary circuit. But they call the one preceding this the last of months, and the twelfth segment, and the final dodecatomorion, and the end of the planetary circuit. Wherefore we maintain that those who place the first month in it, and determine by it the fourteenth of the passover, commit no slight or common blunder. 16 And this is not an opinion of our own; but it was known to the Jews of old, even before Christ, and was carefully observed by them. This may be learned from what is said by Philo, Josephus, and Musaeus; and not only by them, but also by those yet more ancient, the two Agathobuli, surnamed `Masters,` and the famous Aristobulus, who was chosen among the seventy interpreters of the sacred and divine Hebrew Scriptures by Ptolemy Philadelphus and his father, and who also dedicated his exegetical books on the law of Moses to the same kings. 17 These writers, explaining questions in regard to the Exodus, say that all alike should sacrifice the passover offerings after the vernal equinox, in the middle of the first month. But this occurs while the sun is passing through the first segment of the solar, or as some of them have styled it, the zodiacal circle. Aristobulus adds that it is necessary for the feast of the passover, that not only the sun should pass through the equinoctial segment, but the moon also. 18 For as there are two equinoctial segments, the vernal and the autumnal, directly opposite each other, and as the day of the passover was appointed on the fourteenth of the month, beginning with the evening, the moon will hold a position diametrically opposite the sun, as may be seen in full moons; and the sun will be in the segment of the vernal equinox, and of necessity the moon in that of the autumnal. 19 I know that many other things have been said by them, some of them probable, and some approaching absolute demonstration, by which they endeavor to prove that it is altogether necessary to keep the passover and the feast of unleavened bread after the equinox. But I refrain from demanding this sort of demonstration for matters from which the veil of the Mosaic law has been removed, so that now at length with uncovered face we continually behold as in a glass Christ and the teachings and sufferings of Christ. But that with the Hebrews the first month was near the equinox, the teachings also of the Book of Enoch show.' 20 The same writer has also left the Institutes of Arithmetic, in ten books, and other evidences of his experience and proficiency in divine things. The only other work of Anatolius known to us by name is his Introduction to Arithmetic. In ten books, it seems to have been excerpted by the author of the curious writing entitled Theologoumena arithmetica. A Neoplatonic treatise, uncertainly attributed to lamblichus, it is a discussion of each of the first ten natural numbers. It mixes accounts of truly arithmetical properties with mystical fancies. Many parts of the discussion are headed �of Anatolius,� The character of its arithmetical lore may be illustrated by the following quotation from a part attributed to Anatolius �[Four] is called �justice� since its square is equal to the perimeter [i.e., 4 x 4 = 16 = 4 + 4 + 4 + 4]; of the numbers less than four the perimeter of the square is greater than the area, while of the greater the perimeter is less than the area.� In contrast with the flights of fancy preserved in Theologoumena arithmetica, some paragraphs of a writing of Anatolius are found in manuscripts of Hero of Alexander in which Anatolius deals soberly and sensibly, and in Aristotelian terms, with questions about mathematics, its name, is philosophical importance, and some of its methods. The structure of Theologoumena arithmetica and its selection of material from Anatolius suggest that Anatolius� Introduction to Arithmetic may have dealt with each of the first ten natural numbers. The Pythagoreanism or Neoplatonism manifested here was in the spirit of the times. Despite the number mysticism, however, Anatolius� competence in mathematics is clear and justifies the esteem in which Eusebius says he was held in Alexandria. In 1973 John M. Dillon in Iamblichi Chalcidensis in Platonis dialogos commentariorum fragmenta argued that "there is no chronological reason why the Bishop of Laodicea could not have been the teacher of Iamblichus". Between 1987 and 2001, in Arius: heresy and tradition Rowan Williams states that he had increasing doubt over the question of identity. "However, the suggestion that Anatolius, Iamblichus' teacher, is to be identified with the Christian bishop Anatolius of Laodicaea is one that I adopted over-enthusiastically; it is stated as fact (p.196: [Arius knew something of Anatolius, and even of his great pupil Iamblichus]), when it is at best conjecture, and a conjecture regarded very sceptically indeed by several well-qualified judges. I still find it attratctive, but must admit to more doubts than in 1987.". In 2002, a Bryn Mawr Classical Review reported that John Dillon "abandons the idea that the teacher of Iamblichus was a certain Anatolius who taught Peripatetic philoosophy in Alexandria in the 260s and later on became bishop of Laodicea in Syria." Is it not apparent that we now have a trinity of Christian identity frauds masquerading in the 3rd century Academy of Plato? And if this were not enough, it appears in the case of Porphyry, that this evidence continues into the 4th century. "Socrates critical questioning is a ... menace to the state". "Pythagoras had stolen his teaching from Egypt"
"Plato believed there were many gods." "Plato strived for the unknowable ..."
"Plato wrote about a first and second God." In 2008 Jeremy M. Schott published a 272 page work entitled "Christianity, Empire, and the Making of Religion in Late Antiquity", and a smaller 30 page work the abstract of which appears below. It is interesting to note how in his abstract, the author alludes to "the fluidity and permeability of religious and philosophical identities". This review is in a position to be able to provide a very good reason why we have received what appears to be such a plasticity of identities during this epoch. Simply, the historical record of Eusebius has employed identity theft". �Living Like a Christian, but Playing the Greek�: Accounts of Apostasy and Conversion in Porphyry and Eusebius". Abstract: This study focuses on a set of conversion narratives from the late third and early fourth centuries: Porphyry of Tyre�s and Eusebius of Caesarea�s conflicting accounts of Origen�s reputed apostasy from Hellenism and Ammonius Saccas�s alleged abandonment of Christianity for philosophy, and fourth-century reports of Porphyry�s supposed flirtation with Christianity. It argues that these narratives functioned as a means for Christian scholars and pagan philosophers to establish boundaries between themselves and their opponents and as a way to obfuscate broad dogmatic and practical similarities between Platonists and Christians. This reading of conversion and apostasy narratives opens the door to a more nuanced, if more complex, appreciation of the fluidity and permeability of religious and philosophical identities in Late Antiquity. We might paraphrase this abstract by pointing out that the evidence itself declares that these narratives functioned as a means for Christian heresiologists to establish boundaries between themselves and their gnostic opponents and as a way to obfuscate broad dogmatic and practical similarities between what Platonists were and what Platonists would become, and what Christians were, and were to become. That is, as highlghted in the diagram at the top of the page, all the mappings are one way. The narrative is the narrative of a stolen identity" - in any other words, a fabricated narrative. In the case of Ammonius, the fabricated identity was associated with a small number of documents that the orthodox found useful for their historical narrative. In the case of Origen, the fabricated identity was associated with a large number of important documents. In the case of Anatolius, the fabricated identity was associated with a small number of important documents that the orthodox found useful for their historical narrative. we can only suppose that he changed his opinions as he grew older." Why did Constantine want to burn the books of the greatest academic author that the Panhellenic civilisation had produced at the opening of the 4th century? These are the actions of an anti-Panhellenic despot. The answer to this question might be answered with another question - why did Constantine want to utterly destroy the most ancient and highly revered temples, libraries, shrines and obelisks of the Panhellenic culture of 324 CE? Arnaldo Momigliano calls it a "revolution", and one which carried with it a new historiography - the "Ecclesiastical History" of Eusebius. Concluding with the edict of Constantine against Porphyry issued shortly after Nicaea, provides a good introduction to Arius of Alexandria, and the serious nature of Constantine's pronouncement of "Damnatio memoriae" against Arius. Constantine obviously wanted to totally rub out the books, the doctrine, the name and the political memory of Arius. It is quite notable that Constantine refers to Arius here as a "Porphyrian"
Inasmuch as Arius imitates the evil and the wicked, it is right that, like them, he should be rebuked and rejected. that there may not by any means remain to him remembrance in the world. for as soon as he is caught in this he shall suffer capital punishment by beheading without delay.
" And so God Himself, as he really is, is inexpressible to all. We worship him as timeless, in contrast to him who in time has come to exist." "
The Two Arii - Arius of Alexandria the Platonist and Arius the Christian Presbyter. Exposing Arius the Presbyter as a 5th Christian identity fraud. Arius as a Satirist - An examination of the sources. In Summary, and what was the God of Plato? In the foregoing sections a tetrarchy of (four) very similar Christian identity frauds masquerading in the Academy of Plato has been exposed. The perpetrators used these identity thefts to launder false information, present forged documents and to so deceptively acquire for their fabricated Christian lineage, the renown, respect and historicity previously associated with the 3rd century Platonist lineage, in matters of theology and philosophy. But there is at least a fifth - both quintessential and subtle - identity fraud to be exposed and reported. The systematic process of attack on the Platonic theologians as victims of identity theft, did not end with Porphyry, but was also systematically employed against his follower - the Porphyrian and Platonist, Arius of Alexandria. Every biblical historian expects there to be only one Arius of Alexandria in history, not two. Every ancient historian expects there to be only one Arius of Alexandria in history, not two. On this matter I happen to agree with both types of historians - there was really only one Arius of Alexandria in history who was summoned with the other attendees by Constantine to Nicaea. Where I disagree with most historians is on the nature of Arius's theological and philosophical allegiances. One issue in this 5th case is that the historical identity of Arius the Platonist, who was the victim of identity theft, was almost utterly erased by Constantine. The "Official" record of Arius as the Christian Presbyter lives on for an extremely powerful reason. That reason is because the historical record and identity - the books, and the name and the remembrance in the world - of the real historical Arius of Alexandria, the Platonist theologian, were rubbed out. Damnatio memoriae was an effective means of imperial censorship. Business was business. Orders were carried out for centuries. Remembrance in the world of Arius the Platonic philosopher was damned from a very high and purple place. "Arianism has often been regarded as the archetypal Christian deviation, something aimed at the very heart of the Christian confession�. Arius himself came more and more to be regarded as a kind of Antichrist among heretics, a man whose superficial austerity and spirituality cloaked a diabolical malice, a desperate enmity to revealed faith. The portrait is already taking place in Epiphanius� work, well before the end of the fourth century. By the early medieval period, we find him represented alongside Judas in ecclesiastical art. (The account of this death in fourth and fifth century writers is already clearly modeled on that of Judas in the Acts of the Apostles.) No other heretic has been through so thoroughgoing a process of �demonization�". Rowan Williams, "Arius: Heresy & Tradition"
It would appear that the greatest Christian heretic of all time may have been a Platonist, simply defending the deity of Plato against a newly appeared deity championed by the successful warlord Constantine. A second issue is that with effect from Nicaea, Constantine demoted the Academy of the Platonists and promoted the Academy of the Christians. Therefore, the identity fraud known as "Arius the Christian Presbyter" still masquerades, but not in the Academy of Plato. The masquerade has changed its venue since Nicaea and is no longer held in the Academy of Plato. Rather the post Nicaean masquerade now takes place in the new state Academy of Constantine. An ever increasing horde of Christian identity frauds then commence to appear in Constantine's Christian academy - too vast to detain us here. It is significant in itself that the very first,of these, exiled from the Nicaean Agreement and most conspicuous in his role as a master heretic, is the identity fraud known as "Arius the Christian Presbyter". In the following section various evidence is examined in regard to these claims that we may be dealing with a Platonic Arius. Let's start this exercise in a revisionist history of Arius with Rowan Williams's mention of this shadow of Arianism-as-Other that still haunts modern discussion. Williams's ecclesiastical viewpoint on this matter can be paraphrased in order to obtain the wider viewpoint of profane ancient history. "Platonism" was that which Constantine, who was in charge of "Catholicism" at the time, rejected, burnt or left behind. And there is some usefulness in seeking to understand it in these novel antithetical terms, because 'the shadow of Arianism-as-Other' is the Christian Presbyter identity fraud whom we currently claim and believe to be real, and who has no option but to haunt modern discussion until such time as he is denounced and banished for the chimera he is. Does the following 4th century portrait of Arius drawn by Epiphanius describe Arius the Platonic Theologian, or Arius the Christian Presbyter? Rowan Williams's research appears to support the 20th century portrait of Arius drawn by the scholar Charles Kannengeisser in regard to the analysis and understanding of the historical Arius. Williams spends a great deal of time searching for any earlier precedents in the beliefs expressed by Arius, but without any success. So if we follow Williams and Kannengiesser in that "Arius' entire effort consisted precisely in acclimatizing Plotinic logic within biblical creationism," surely this suggest that we are dealing with an historical Arius who is a Platonic Theologian, and not an Arius who is a Christian Presbyter. Who was Arius of Alexandria? An examination of the sources. Arius calls his father "Ammonius". The Eusebian model presents to the public at large a Council of Nicaea that may be described as a "Tea Party for the Christian Bishops" and "Constantine's Long Service Party" rolled into one. It declares that, although they had to walk through a wall of drawn swords into the recesses of the council, all these Christian Bishops decared in by so signinging their harmonious acceptance of an oath to their leader Constantine. The Eusebian model does not admit into it an Arius of Alexandria who surrounded himself with "very many" philosophers ... some of which "were indeed very good with words".. The Eusebian model, as we have seen with the one way "doppelganger" mappings in this article is very much one sided. At the conclusion of my recent article on an alternative chronology for the Gnostic Gospels and Acts, etc, here, I mentioned the analogy of "twisted history" and the Mobus strip. These things appear as one-sided renditions of a standard two sided account. Such is the Eusebian model. It is servicable as a one sided account. But it is precisely the twisted naure of the account that immediately suggests that there has to be another side. The model provided by the fragment of Philip of Side presents something different. It presents a Council of Nicaea that may be described as a confrontation between orthodox Christians and large numbers of Arian-minded philosophers. Moralistically, the fragment documents the "born again" conversion of these philosophers to the church. So the question that needs to be asked here is whether these non christian philosophers included those from the Alexandrian Platonic academy. In this model Arius is naturally a Platonic theologian, philosopher and logician. It exposes the Eusebian model as a one sided false veneer. But one must bear in mind that the Eusebian model was not completed and sealed until the mid 5th century, and that Eusebius was not the only pious heresiological forger in ancient history. Constantine's Letter to Arius - a very nasty letter by Constantine revealing much about Arius. An Analysis of this Letter - What does Constantine reveal about Arius? Quite a lot. He talked of one God. He said "Either let us hold that, of which already we have been made possessors, or let it be done, just as we ourselves desire." He said "We have the masses." He was a warrior of insanity. He was an Ares He fashioned the finest things for the masses He asked to celebrate services to God in Alexandria He asked to celebrate the lawful and indispensable services to God in Alexandria He hastened to destroy his friends He claimed the masses acted with him. He never admited where in the world he was. He claimed all the Libyan populace was supporting him. He was a source of aid for people. He had august consuls. He hastened to disturb the whole world by his impieties. He claimed there were a multitude of persons wandering about him. He had supporters that were asserted to have given themselves to be eaten by wolves and by lions. He had supporters that were each oppressed by additional payment of ten capitation taxes and by the expenses of these. He had supporters that sweated unless they ran as speedily as possible to the salvation-bringing Church. He had supporters that were condemned for wicked complicity. He had associates that were threatened by local and state authorities. He had associates that were threatened to speedily flee his association. He had associates that were to accept in exchange the uncorrupted faith [of the church]. He wrote with a pen distilling poison. [Editor: Arius was a satrist]. He went further and opened the whole treasury of madness. He added things further to orthodox doctrines. He added certain things somehow swaggeringly. He added certain things quite accurately elaborated. He constructed a disease of savage thought. He constructed a discord against the church. He joined things to an impous separation of orthodox doctrines. He substituted a foreign hypostasis. He paved the way for the marks of addition. He sang evil songs of unbelief. He was not ashamed to disparage (state orthodox) doctrine. He refuted (state orthodox) doctrine. He admonished (state orthodox) doctrine. He was the author of rotten words and meters. He performed investigations that were called abominable. He wrote sophisms that were clear. He wrote sophisms that were known to all persons, at all events for the future. He struggled to accomplish something. He was an artificer. He donned externally a mask of simplicity. He counterfeited fairness of discourse. He counterfeited gentleness of discourse. He was perhaps healthy in respect to spiritual matters. He was an "iron-hearted man". He appeared to take thought from his own self. He seemed superior in faith. He seemed superior in discourse. He was known for his wits - they were not dull. He did not perish even when surrounded by great horror. He pretended piety. He had marvellous faith. He did invoke some God for aid. He was a fool in respect to his soul. He was a wordy one in respect to his tongue. He was an infidel in respect to his wits. He was a witty and sweet-voiced fellow. He had a mask of modesty. He has terrible shamelessness. He used the artifice of pretence. He pretended silence. He showed himself to be tame and submissive. He had the audacity worthy to be destroyed by thunderbolts! He considered holy only what was in him. He was (be well assured) lost. He engaged in folly. He did not listen to Constantine. He did not lend his ears to Constantine. He did not understand his folly. He wrote letters to Constantine with a pen of madness. He was a gallows rogue. He was not to be associated with. He was not to be addressed. He was notorious - "It was mistake to be around him". He told Constantine to go away. He caused Constantine to speak against him. He needed to be captured in order to keep an imperial appointment at the public gallows. He was very hasty. He was the contraversial subject of imperial discourses against him. He was asked to grant a field for discussion. He made Constantine exited writing compositions against him. He was abrogated. He needed to be refuted and thoroughly. He brought punishment upon himself. He did not understand that Constantine, the man of God, already knew all things. He and his flame were quenched with the rain of divine power. He received an invitation from Constantine saying: "Come to me, come, I say, to a man of God". He was a fellow full of absurd insensibility. He talked disgracefully. [Editor: Arius was a satrist]. He was described as mad and clearly raving. He was a patricide of equity. He was truly an adviser of evil. He was a villain. He was a mediator of wild beasts. [Editor: See Plato's analogies] He answered to "foolish one". He was involved in evil. He was within full of countless evils and plots. He was made by the desire of the Devil. He was made as a manufactory of iniquity for us. He possessed a perverted mouth. [Editor: Arius was a satrist]. He possessed a nature quickly roused to wickedness! He undoubtedly believed badly He engaged in silly transgression of the law He was quite fittingly subverted by the Devil He was a wicked person He had fallen in matters. He had fallen dead in matters He needed to be cured. He was trusty for evil He proffered profusely the poisons of his own effrontery. He was a wicked interpreter. He was an image and a statue of the Devil. He had a nature absolutely most base. He offered error. He had lost the grace of taking advice. He vomited pernicious words. He produced pernicious words his writings. He did not coexist with the Eternal Father of his origin. He was a truly dissembling person. He was a truly profane and base. [Editor: Arius was a satrist]. He was a worthless person. He progressed to the height of lawlessness. He was a shamless and useless fellow. He progressed to the height of wickedness. He had a bitter tongue. He was a profane person. He was a sick and helpless soul. He was not really blameless. He was clearly mad. He was a knave. He was a destructive evil. [Editor: Arius was a satrist]. Readers may note in the above a number of editorial comments "Arius was a satirist". The following separate article examines further evidence for this position. Eusebius, or Eusebius's preservers, introduce Arius in the context that the Emperor Constantine, the powerful herald of God, had encountered a problem. What was the problem? Notorious scandals and popular contraversialisations were circulating. The target of the contraversies were the sacred matters of inspired teaching as bound in the Constantine Bible. The venue for the shameful ridicule were the Greek theatres. The source of the scandal was tracked back to discover Arius, and his five Platonic sophisms on the nature of Constantine's Jesus. Eusebius's �Life of Constantine�, Ch. 56, How Controversies originated at Alexandria through Matters relating to Arius. In this manner the emperor, like a powerful herald of God, addressed himself by his own letter to all the provinces, at the same time warning his subjects against superstitious ("Demoniacal" or "diabolical") error, and encouraging them in the pursuit of true godliness. But in the midst of his joyful anticipations of the success of this measure, he received tidings of a most serious disturbance which had invaded the peace of the Church. This intelligence he heard with deep concern, and at once endeavored to devise a remedy for the evil. The origin of this disturbance may be thus described. The people of God were in a truly flourishing state, and abounding in the practice of good works. No terror from without assailed them, but a bright and most profound peace, through the favor of God, encompassed his Church on every side. Meantime, however, the spirit of envy was watching to destroy our blessings, which at first crept in unperceived, but soon revelled in the midst of the assemblies of the saints. At length it reached the bishops themselves, and arrayed them in angry hostility against each other, on pretense of a jealous regard for the doctrines of Divine truth. Hence it was that a mighty fire was kindled as it were from a little spark, and which, originating in the first instance in the Alexandrian church, overspread the whole of Egypt and Libya, and the further Thebaid. Eventually it extended its ravages to the other provinces and cities of the empire; so that not only the prelates of the churches might be seen encountering each other in the strife of words, but the people themselves were completely divided, some adhering to one faction and others to another. Nay, so notorious did the scandal of these proceedings become, that the sacred matters of inspired teaching were exposed to the most shameful ridicule in the very theaters of the unbelievers. What has not been appreciated is Arius's handful of Platonic sophisms on the nature of Constantine's Jesus were designed not for the purpose of comparing Constantine's Jesus to the Christian God, but for the purpose of comparing Constantine's new god with the God of Plato. While Arius the Christian presbyter compared Jesus and God, Arius the Platonic theologian compares the Christian conceptions of God as he found them, bound and captive in Constantine's Bible, with the Platonic conceptions of God, as he found them in the books of Plato, and in the lives of his exemplar 3rd century teachers of the Platonic lineage. Is it the case that in the last resort for survival, the Platonic voice of the Second Sophistic was raised in satire against the new appearance of Constantine's bible? We must be mindful that the books of Porphyry (preserving Plotinus and Euclid) were being burnt, while the Constantine Bible was being lavishly replicated. Political satire is a significant part of satire that specializes in gaining entertainment from politics; it has also been used with subversive intent where political speech and dissent are forbidden by a regime, as a method of advancing political arguments where such arguments are expressly forbidden. Historically, the public opinion in the Athenian democracy was remarkably influenced by the political satire performed by the comic poets at the theaters. In his Discourses "Against the Arians", Athanasius makes three explicit comparisons between the writings of Arius, and the writings of Sotades - a famous Greek political satirist. I think the idea is that Athanasius wanted his readers to see Arius as another Sotades, another satirist. Extracts from Athanasius's Discourses "Against the Arians"
more than ordinary, being known as Christ's foe, and harbinger of Antichrist." (i) But neither can a Christian bear to hear this, nor can he consider the man who dared to say it sane in his understanding. For with them for Christ is Arius, as with the Manichees Manichus; and for Moses and the other saints they have made the discovery of one Sotades. (ii) Arius, taking no grave pattern, and ignorant even of what is respectable, while he stole largely from other heresies, would be original in the ludicrous, with none but Sotades for his rival. (iii) And so too, this counterfeit and Sotadean Arius, feigns to speak of God, introducing Scripture language, but is on all sides recognized as godless Arius, denying the Son, and reckoning Him among the creatures . Sotades was the chief representative of the writers of obscene satirical poems, called Kinaidoi, composed in the Ionic dialect and in the "sotadic" metre named after him. The sotadic metre or sotadic verse has also been called palindromic. The Emperor Julian's in Greek openly authored satire against Constantine and Jesus during the 4th century, in the text of his "The Caesars". In summary to this point the argument has been that the ancient historical Arius of Alexandria was a non christian theologian of Plato, who shared a conception of Platonic divinity that he found necessary to defend at the Council of Nicaea. Before we move to the final section about a profane ancient historical reconstruction of the "Council of Nicaea", it may be expedient to brush up with a summary of what the Platonic theologians of the 4th century conceived their supreme god and divinity to be. The metaphysics and philosopy of Plotinus begins end ends with a Holy Trinity: "The One, Spirit and Soul.". The One is not a monotheistic deity but rather nondual deity. Plotinus's final words to Eustochius (c.270 CE) are reported as being .... 'I am striving to give back the Divine in myself to the Divine in the All.' His treatises and philosophical practices, as preserved by Porphyry, are representative of the highest thought of the epoch. 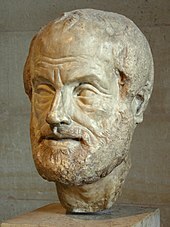 Some commentators see in the Platonist philosophy and metaphysics as expressed in The Enneads of Plotinus a great parallel to other nondual philosophies / metaphysics, such as those within Buddhism, Hinduism and others. The nondual God of Plato: "The One, Spirit and Soul"
They are not equal: the One is supreme, Spirit comes next, and Soul last. The One which is supreme is sometimes called God, and sometimes called the Good. The One transcends Being. The "Nous"/"Spirit" is the offspring and/or the reflection of the One. The "Spirit" includes mind - the intellect. The Soul is the offspring of the Divine Intellect. It is double: there is an inner soul, intent on "Nous"/"Spirit", and another, which faces the external. Russell comments that " Plotinus is both an end and a beginning - an end as regards the Greeks, a beginning as regards Christendom." We should really say the same thing about Constantine. Which brings this account to the all important Council of Nicaea. in which some were the emperor's own companions at table, while others reclined on couches arranged on either side. One might have thought that a picture of Christ's kingdom was thus shadowed forth, and a dream rather than reality. Platonists and others are invited to meet "the fear of god"
Christian attendance was a (retrospective) dream not a reality. More doppelgangers. It is claimed that the Council of Nicaea was not attended by Christian Bishops of the East because at that time they had yet to be personally appointed by Constantine, in his capacity as their fearless leader.. Alternatively it is suggested that Constantine, acting as "Pontifex Maximus", personally summoned his eastern Greek priesthood to a summit meeting. These philosophers, academics, physicians, mathemeticians and priests were part of the Sacred College of the Pontifices in the eastern empire that had served Lucinus and Diocletian. Constantine may in fact have remembered some of them from his earlier days as an effective hostage in the Eastern courts of Diocletian, for the conduct of his father, Constantius Chlorus. The attendees were understandably nervous. Constantine had recently utterly destroyed ancient and highly revered temples. There had been executions of head priests. Philosophers and leading citizens of Antioch had suffered torture at his hands, following the earlier Council of Antioch. Constantine had imposed a prohibition of temple business of all varieties, and the prohibition was enforced by the army. Alternatively again, it is suggested that many of the attendees were sourced from records drawn up in the rule of Diocletian, for the purpose of assessing taxation wealth and land ownership in the eastern provinces. Constantine may have thus selected the attendees from the top three hundred and twenty-one names on Diocletian's domesday book of the Eastern empire. Politics at Nicaea: Eventually the attendees summoned by Constantine have been asked to ratify the decision of the Pontifex Maximus concerning the canonization of the Constantantine Bible (and especially its "New Testament" section) as the "Holy Writ" of a new state religion for the Roman Empire and the Panhellenic civilisation. Upon request, some of the bolder attendees had already petitioned Constantine in writing over this unsatisfactory state of affairs, but Constantine had unceremoniously burned their petitions in their presence, cautioning that harmony was to be preserved at all costs. Constantine had instructed his agents to obtain the signatures of the attendees on the creed supporting the canonization of the New Testament. Osius, one of Constantine's most trusted agents, who had presided over the earlier council at Antioch, first announced the creed and signed it. The creed was taken round to each individual by Constantine's notaries led by Philumenus, the "master of offices". The signatures of the Greek philosophers, priesthood, academics and chief land holders were thus being given under duress. Arius's Hypothetical "Concientious Objection": following "The Life of Secundus"
In the following account we reconstruct Arius the Platonist as a contentious objector. His motto could almost be taken from a Woody Allen one-liner: "To you I'm an atheist; to God, I'm the Loyal Opposition.". Arius perhaps by a combination of meditative ascetic inaction and a Pythagorean vow of silence passively refused to take any part in the entire process. Arius might have been described as a conscientious objector. The collection process of the signatures by Constantine�s agents had ground to a halt, and they may have decided to escalate the problem to Constantine at this critical juncture. Incidentally, it should be recalled that mention has been made to new evidence, in the form of fragments of Philip of Side, which suggest that there were "large numbers" of philosophers present at the Council of Nicaea, who were not christian, and who are described as supporters of Arius's position. In the following extract I have changed two names. The following extract has been based upon part of an ancient text entitled "Life of Secundus the Philosopher", translated by Ben Perry, featuring an exchange between the Roman Emperor Hadrian and the Philosopher Secundus. The original text of the following exchange is available here. In reading this therefore keep in mind that the only thing that has been changed is the name of the Roman Emperor, changed from Hadrian to Constantine, and the name of the Philosopher, from Secundus to Arius. I have done this in order to highlight the brutal reality of the epoch. Constantine�s Inquisition of Arius of Alexandria. About that time the Emperor Constantine, having arrived in Nicaea, heard about Arius and summoned him into his presence; for no good thing escaped this emperor's notice. When Arius entered, Constantine, wishing to test him in order to see whether he was really committed to silence or not, rose up first and greeted him. Arius, however, maintained his customary silence. Then Constantine said to him, "Speak, philosopher, so we may come to know you. It is not possible to observe the wisdom in you when you say nothing." But in spite of this, Arius kept still. And Constantine said, "Arius, before I came to you it was a good thing for you to maintain silence, since you had no listener more distinguished than yourself, nor one who could converse with you on equal terms. But now I am here before you, and I demand it of you; speak out, bring forth your eloquence to the top level of its quality." Still Arius was not abashed, nor afraid of the emperor. Then Constantine, losing all patience, said to one of his followers, a tribune, "Make the philosopher say a word to us." The tribune answered according to the truth by saying, "It is possible to persuade lions and leopards and other wild beasts to speak with human voices, but not a philosopher against his will." Then he summoned an executioner, who was a Greek, and said to him, "I do not want any man to live who refuses to speak to the emperor Constantine. Take him away and punish him." Constantine, however, called the executioner aside privately and said to him, "When you are leading the philosopher away, talk to him along the road and encourage him to speak. If you persuade him to make an answer, cut off his head; but if he does not answer, bring him back here unharmed." Arius was led away in silence, and the executioner taking him in charge proceeded down to the place where men customarily were punished. And the executioner said to him, "Arius, why do you die by persisting in silence? Speak, and you shall live. Grant yourself the gift of life by a word. Behold, the swan sings near the end of his life, and all the other winged creatures give forth sound with the voice that nature has given them. There is no living thing that does not have a voice. So reconsider, and change your purpose. The time that you will have gained thereby will be ample for your silence." With these and many other words he sought to encourage Arius and to lure him into the trap. But Arius despised life itself and silently waited for death, unmoved by what had been said to him. After bringing him to the customary place the executioner said, "Arius, hold out your neck and receive the sword through it." Arius held out his neck and took leave of life in silence. Then the executioner showed him the naked sword and said, "Arius, buy off your death with speech." But Arius did not speak. Thereupon the executioner took him and went back to Constantine and said, "My lord Caesar, I have brought back Arius to you the same as he was when you handed him over to me, silent unto death." Constantine marveled at the philosopher's strength of purpose and rising up said, "Arius, in observing silence you have imposed upon yourself a kind of law, and that law of yours I was unable to break down. Now, therefore, take this tablet, write on it, and converse with me by means of your hands. why you resist accepting the Historical Jesus as the supreme God of our Roman empire." Arius had taken the time to study the books of Constantine�s New Testament and Bible. He is and He was from another subsistence/substance. He is and was subject to alteration and to change. Arius's Immediate Political Exile and "Damnatio memoriae: a new clause to "The Creed"
History tells us that Constantine imposed the criminal sentence of exile on Arius immediately. It is suggested that Constantine then took these words of Arius� written resistance back to the Council and had them appended to the creed as a concrete disclaimer clause and a solution for what he would not accept. Note that the earliest preserved Nicaean Creeds (via Rufinius of Aqueila and Socrates Scholasticus) show the five sophisms of Arius in the anathema clause. As a result of this change, the remaining attendees now had two choices. They could agree with Constantine or they could agree with the alternative five sophisms of Arius. They were aware that if they did not agree with Constantine then their fate would be either political exile or death. Needless to say, they all chose to live. Some even lived very well. Constantine offered tax exemptions to the christian clergy, and personally appointed hundreds of bishops during his rule. It was an authoritative "business agreement". In the fabricated legend, 321 walked in, 3 were exiled, and 318 signed on the dotted line. Damnatio Memoriae: We have already cited (at the conclusion of Porphyry) Constantine's pronouncement of Damnatio memoriae upon Arius. The Latin phrase literally meaning "damnation of memory" in the sense of removal from remembrance. It was a form of dishonor that could be passed by the Roman Senate upon traitors or others who brought discredit to the Roman State. Constantine used it on at least four occassions: commencing with Arius and Porphyry, as we have seen, c.325 CE. A year later he used it on his son Crispus and on his wife Fausta, both of whom Constantine ordered to be executed. The rubbing out of identities was a common practice of the Roman Emperors. It is still practiced. The five brief sayings of Arius produced above were echoed down the centuries by generations of people whom the heresiological historians of that epoch largely called the Arians - the followers of the heresy of Arius. The fact that they are present in the earliest records of the Nicaean creed indicates their pivotal importance in what was to become the "Arian Controversy". But what did Arius mean by these five sayings in the context of the Nicaean confrontation? It is generally accepted that Arius is making a comparison here. The "Official Church History" interpretation here is that Arius is making a comparison between Jesus of the New Testament and the Hebrew God of the Old Testament, and pointing out that Jesus of the New Testament does not appear to match up to the ultimate LXX God on at least five counts. However there is another option. in the books of Constantine? Platonic divinity in the books of Plato? How do we know for sure which conception of divinity or deity it was that Arius was defending against the recent appearance of Jesus? Another option - just as likely - is also possible as tabulated above. It could well be that Arius the Platonic theologian is taking the liberty of making the comparison between Jesus of the New Testament and the God of Plato, as found in the books of Plato. In this case Arius the Platonist is unsuccessfully defending the deity of Plato against the revolutionary changes being made by Constantine. It should therefore be seen as a reasonable alternative, that Arius the Platonist may not have been Arius the Christian presbyter at all. Another relevant issue, which is just as easily explained using a revisionist history in which Arius the Platonist theologian is no longer falsely represented as another Christian identity fraud is the issue of the "same essense" controversy. Was Jesus the same in essence ('homoousios') or similar in essence ('homoiousios') to what? It is well known that Arius and the Arians refused to describe Jesus with the term 'homoousios' (same essence) and instead appeared to have invented another term 'homoiousios' (similar essence). This distinction separated Arius and the Arians, who consistently used the latter term, and led to their ultimate condemnation as heretics from the main body of Christianity, whom we are advised, prefered to use the former term. another word ('homoiousios') implied that Jesus was of a similar essence or being. to which the essence or being of Jesus was being compared by Arius and the Arians. The "Official Church Dogma" of course asserts that this conceptual essence or being to which the essence or being of Jesus was being compared by Arius and the Arians was the essence or being of the God of the Christians. This is to be expected. Ancient historians should expect that the lineage of the Panhellenic Platonists should have raised their voice over the appearance of the new Jewish divinity. Ancient historians should also expect that the orthodox heresiologists would work towards down-playing the history of the Panhellenic and Platonic reaction to the appearance of Jesus and Constantine's Bible. We can see that they had already ear-marked various important historical Platonist theologians as victims of identity theft, and they did not hesitate to do precisely the same thing with Arius. Were Arius & the Arian Philosophers simply attempting to defend Plato's "Chrestic"God? Ancient historians should be prepared to examine the case that in fact Arius and the Arians were not comparing the essence or being of Jesus with the Christian god at all. Rather, what Arius the Platonist, and the numerous Nicaean Arian Philosophers described in the fragment of Philip of Side were comparing, was an essence and being a great deal closer to their own books and hearts. was the conceptual essence or being of the Platonic divinity, as found in the books of Plato. While we are critically comparing the divinities found in the books of Plato and Constantine it is intriguing to note that although Plato's concept of divinity is described as "an inexpressible essence" or as "the All" or as "The One", the term "The Good" is also purposefully reserved as a description. The term "Chrestos" is thus one of the given names of the divinity of Plato as disclosed in his books and by the teachers of his lineage. Where "Chrestos" is derived from the Greek for "the Good", "Christos" is derived from the Greek for "the annointed". There is a remarkable similarity between the Greek name of "Christos", the given name of the divinity as disclosed in the books of Constantine, and by the teachers of the Christian lineage, and the Greek name of "Chrestos". This remarkable correspondence may have some bearing on recent publications, reviews and articles on the subject of the relative of abundance of the Archaeology of �Chrest�, and a comparitive Vacuum of evidence for Archaeology of �Christ�. In concluding, it may be worthwhile to point out that the basic metaphysical and philosophical difference between the divinity of the Nicaean Christians and Platonists was that where the divinity of Constantine is best described as jealous and Monotheistic, the God of Plato is perhaps best described as impersonal and Nondual. As a result of the Council of Nicaea, Jesus was declared "homoousios" (same essence or beingness) as the One Good God. The One Good God had been written about in the books of the theologians and philosophers of the Platonic lineage. The One Good God had also written about in the books that Constantine manufactured. That is to say, the One Good Christian God had been written about in the books of the theologians and philosophers of the Christian lineage. The big xquestion of course, is which books did the Panhellenic Platonists favor ? "We all know the story of the man who went into a London bookshop and asked for a New Testament in Greek. The assistant retired to a back room and after ten minutes came back with a grave look: �Strange, sir, but Greek seems to be the only language into which the New Testament has not yet been translated.� The story may remind us of two facts. The first is that there was a time in which the New Testament was only available in Greek. The second and more important is that at that time it was as difficult as it is now to find a bookshop with a New, or for that matter an Old, Testament in Greek. About A.D. 180 a man like Galen could walk into a bookshop only to discover that they were selling an unauthorized edition of his own lectures. But though he was interested in the Christians, Galen would hardly have found a Bible. The Bible was no literature for the pagan. Its Greek was not elegant enough." Pagan and Christian Historiography in the Fourth Century , A. Momigliano. "Principles of Historical research need not be different from criteria of common sense. And common sense teaches us that outsiders must not tell insiders what they should do. I shall therefore not discuss directly what biblical scholars are doing. They are the insiders. points of my experience as a classicial scholar who is on speaking terms with biblical scholars. to me the most fruitful field of collaboration between classical and biblical scholars. sacred history poses problems which are not those of profane history." Simple Reflections upon Historical Method. Identity Frauds, conclusions and recommendations - Condemnation of pious forgery. This review has examined the evidence of a pageant of Christian identity frauds masquerading in the Academy of Plato during the 3rd century before Nicaea, and then in the 4th century, after Nicaea, masquerading in the Academy of the Christians. The following tabular summary of the findings consists of three columns. In the first column headed "Platonist" is the name of a Platonic theologian known to the profane ancient historical record, for which there exists a parallel and corresponding same-named Christian theologian. The latter is suspected of being a non-existent, fabricated, forged identity, refered to throughout this article as a "Christian Identity Fraud". In the second column labeled "Modus Operandi of Christian Forgery", it is noted whether the fabrication process involved the forgery of a few letters or many letters. In the third column, marked "Identity Fraud Status", is a color-coded status indicating three possible status categories, discussed further below. For the interest of some readers, an additional series of hypothetical identity thefts is presented for the period after Nicaea, in which the target of the identity theft is not a Platonist heretic, but another category of heretic. These are for the moment mentioned in passing, but will be returned to in further articles. The following entries relate to further Identity Fraud issues, but the victims are not necessarily Platonists. against the identity of the heretics (not just Platonists), for the glory and harmony of the Nicaean church. Close of the 4th century: - the Christian supremacy "end-game"
The three "Identity Fraud Identification Status" or "Forgery Indentification Status" categories listed above are further listed and explained below. Firstly, shown in GREEN against both Ammonius and Porphyry is the status "Clearly identified; out in the open". This essentially implies that corresponding identify fraud - the false forged Christian identity - has been identified by ancient historians, but the ancient historians are as yet not quite sure what to do with this evidence, the main issue being of course, where does it lead us? Secondly, shown in ORANGE against Origen and Anatolius is the status "Disambiguated; and discussed". This essentially implies that that corresponding identify fraud - the false forged Christian identity - has been partially identified by ancient historians, but the ancient historians are as yet not quite sure what to do with the parts that they have so identified, for the same reason - where does it lead? Unidentified Forgery is identity not yet even suspected, the way is lost. Thirdly, shown in RED against Arius of Alexandria is the very critical status of "Unidentified". This essentially implies that that corresponding identify fraud - the false forged Christian identity - has not even been partially identified by ancient historians, and the ancient historians are as yet totally unaware of the original historical existence of Arius the Platonic theologian. One of the primary purposes of this essay is to alert the community of academics and scholars and laypeople interested in the future of the field of ancient history, to what the author has termed a systematic pattern of evidence symptomatic of identify fraud. An effort to discuss matters of corruption and common forgery on concrete terms must be conducted. The evidence itself informs the ancient historian that corruption and pious forgery have been responsible for the purposeful obscuration of the true history of the Nicaean bounday event and for the true profane political history of the 4th century. This review was designed to highlight the fact our "received historical accounts" for the epoch before Nicaea, and the epoch after Nicaea, and transactions evident within the pivotal Council of Nicaea itself, have been savagely twisted by a class of people that may be appropriately classified as orthodox Christian heresiologists. "Prior to the discovery of the NHL, "gnosticism" typically was considered to be an early and pernicious Christian heresy, and much of our knowledge of gnostic religion was gleaned from the writings of the Christian heresiologists, those authors who attempted to establish orthodoxy and expose heresy in the early church. The Christian heresiologists disagreed vehemently with Christian gnostics on matters of faith and life, and as a result they portrayed gnostic believers as vile heretics." - Marvin Meyer, The Gnostic Discoveries. The entire pattern of evidence indicates strongly that this ruling class of authors in the 4th and 5th centuries have collaborated and conspired to cover over the historical controversy that errupted following the actions of Constantine upon securing military supremacy. A profane history of the 4th century can no longer entertain that the controversy between the gnostic heretics and the orthodox christians was one between "insiders" of the orthodox church church. The controversy involved absolute military power, the use of fascism, the use of identity theft, pious forgery and indentity fraud. It is appropriate to repeat Momigliano's advice that the condemnation should follow the identification of pious forgery. Ancient historians must show no pity in exposing the evidence of the manner by which Eusebius and his continuators have fraudulently misrepresented the historical truth of the 4th century "Christian Revolution". The received "Official Church History" is characterised by its one-side heresiological and fabricated nature, which this article has attempted to expose. The received "Ecclesiastical History" is not an accurate rendition of profane ancient history. Rather it must be regarded as a "twisted account" that has been retrospectively spliced together and joined with the "true account" at specific critical junctures. A clear introduction to the Historia Augusta is a mandatory requirement for ancient historians and biblical historians who plan to study the imperial publications of the 4th century. For example see livius.org. The forgery of false sources, the novelty of forged sources arguing against false sources (such as proro-Christians arguing against the proto-Pagans or other proto-heretics), the lavish deployment of legions of fabricated documents, and the by-now-familiar signature of identity fraud is abundantly evident in the modus operandi of the 4th century editorship of the "Historia Augusta", dedicated among other people, to Constantine. The only real difference between this work and the "Historia Ecclesiastica" is that we can be reasonably sure that Eusebius was commissioned by Constantine to author and edit the latter, at best estimate, between the years of 312 and 324 CE. Both appear to have been designed for a 4th century aristocratic audience, for whom historical accounts provided more entertainment value than historical truth. Latin for political matter, Greek for theological matters. They may have made a companion series of codices on the bookshelves of the 4th century elite. In theory it is the ancient historians who hold the keys to the past and the future. If ancient historians pretend that they just dont see this evidence of systematic and criminal identify fraud, then all I can say is that history will pre-tend to repeat itself. When ancient historians decide to get to the real history and condem these pious and imperially protected historical criminal actions for the what they are, then the history of the 4th century will become transparent. men with the mentality of gangsters get control. Constantine possessed and was in turn possessed by the absolute power at the command of Caesar. Despite the fact it was authored centuries earlier, Suetonius's Lives of the Twelve Caesars remains a valuable guide and introduction to the effect of absolute power on Constantine's career. Aurelius Victor tells us there were three phases in the account of the life of "Bullneck", each of about ten years. Today these three phases may be appropriately paraphrased as "The Good, The Bad and The Ugly". Nero's last words purportedly were "What an artist the world is losing!" We dont have Constantine's last words. Someone "lost" Ammianus's earlier books - we dont even have an obituary. Sources are meagre. Constantine would not have seen himself as an artist. Constantrine may have perhaps seen himself as an successful army general, a successful "Pontifex Maximus" and a successful high technology publisher. The question for ancient historians concerns the historical integrity not only of the publications in his lifetime, but for preservation of those publications ever since, such as the Constantine Bible. Did Constantine re-badge the Platonic Divinity? It is fitting to end an exploration of ancient history with puzzles and questions, since one day they may be able by others to be solved and answered with greater precision. This review may well lead some to suspect that Constantine enacted a high technology identity theft of the Platonic Divinity from the Panhellenic civilisation and culture, in order to create a new and revolutionary Christian culture. The divinity previously bound within the books of Plato suddenly found itself subject to a fatal attack from the divinity bound within the books that Constantine had recently published. If during the Council of Nicaea Plato's God was baptised with water, then during the Arian controversy we may say Plato's God was baptised with fire. Plato's God had been honorably preserved within a canon of books by historical identities of his pre Nicaean apostolic succession. At some stage the agents of Constantine's God (either Eusebius and/or his continuators and preservers) systematically perverted the ancient historical record by the identity theft of historical Platonists, for the purpose of fabricating both an authenticity of lineage, and specific Christian imposters who carried with them very useful documents. We have to ask when did all this criminal activity actually commence. The puzzling problem is that some of the criminal activity has not yet been exposed and identified. (1) Arian heresy as illusional: Was it Duck Season or Rabbit Season? What did a 4th century Christian heretic really look like? At the end of the day the heretics appear to have been hunted down and eliminated. The story of the hunt has been written by the heresiologists. Did it matter if they called it a Rabbit Hunt or a Duck Hunt? Was Arius a rabit or a duck? Was Arius of Alexandria a heretic Christian presbyter or a heretic Platonic theologian? What does the pattern of evidence left by systematic identify fraud suggest? If the history of the 4th century is viewed as a four dimensional jigsaw puzzle, then one key piece in this jigsaw puzzle is Arius of Alexandria. When we look at Arius today we see Arius the heretical Christian presbyter. However this key piece is a symmetric shape in the jigsaw puzzle. The key piece has a hidden side which can only be seen by inquisitive children and students of history when they turn the key piece over and replace it in the jigsaw puzzle. When the identity fraud of Arius the Christian presbyter is replaced into the jigsaw puzzle by Arius the Platonic theologian then the jigsaw puzzle assumes a greater depth. If the history of the 4th century is viewed as an unbound 2D M�bius strip, on the one side of the strip we have written "Arius the Christian Presbyter". On the other side of the strip we have written "Arius the Platonic theologian". If the strip is again twisted once and spliced together, it has only the one side. We are accustomed to dealing with only one side of the heretic at once. It is suggested that the heretic has two sides, and that the real heretic is Platonic. While all of this has been about the mystery of ancient history, I am reminded of the comment by Max Planck that "Science cannot solve the ultimate mystery of Nature. And it is because in the last analysis we ourselves are part of the mystery we are trying to solve.". Our own historical ideas and theories and dogmas are very much part of this mystery of ancient history, and we must learn to test them against the evidence, and if they do not match up with the evidence, or if they are fabrications or forgeries or identity thefts or identity frauds, then we must either denounce or renounce them, allow them to fall away. The idea is to follow where the evidence leads. The Gnostic Gospels and Acts, etc: comprehensive tabulation. Who was Arius of Alexandria? The following tabulation is an additional reference source. Starting with the BCE pioneers of Pythagoras and Socrates and Plato, the lineage is chronologically presented through to its final closure in Athens by the Emperor Justinian c.529 CE. Pythagoras 569-475 Pythagoras of Samos was an Ionian Greek philosopher, mathematician, and founder of the religious movement called Pythagoreanism. Most of the information about Pythagoras was written down centuries after he lived, so that very little reliable information is known about him. He was born on the island of Samos, and may have travelled widely in his youth, visiting Egypt and other places seeking knowledge. He had a teacher named Themistoclea, who introduced him to the principles of ethics. Around 530 BC, he moved to Croton, a Greek colony in southern Italy, and there set up a religious sect. His followers pursued the religious rites and practices developed by Pythagoras, and studied his philosophical theories. The society took an active role in the politics of Croton, but this eventually led to their downfall. The Pythagorean meeting-places were burned, and Pythagoras was forced to flee the city. He is said to have ended his days in Metapontum. Pythagoras made influential contributions to philosophy and religious teaching in the late 6th century BC. He is often revered as a great mathematician, mystic and scientist, and he is best known for the Pythagorean theorem which bears his name. However, because legend and obfuscation cloud his work even more than with the other pre-Socratic philosophers, one can say little with confidence about his teachings, and some have questioned whether he contributed much to mathematics and natural philosophy. Many of the accomplishments credited to Pythagoras may actually have been accomplishments of his colleagues and successors. Whether or not his disciples believed that everything was related to mathematics and that numbers were the ultimate reality is unknown. It was said that he was the first man to call himself a philosopher, or lover of wisdom, and Pythagorean ideas exercised a marked influence on Plato, and through him, all of Western philosophy. "The safest general characterization of the European philosophical tradition is that it consists of a series of footnotes to Plato. I do not mean the systematic scheme of thought which scholars have doubtfully extracted from his writings. I allude to the wealth of general ideas scattered through them." Plato's sophistication as a writer is evident in his Socratic dialogues; thirty-six dialogues and thirteen letters have been ascribed to him. Plato's writings have been published in several fashions; this has led to several conventions regarding the naming and referencing of Plato's texts. 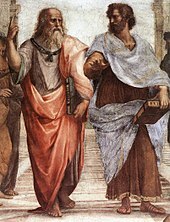 Plato's dialogues have been used to teach a range of subjects, including philosophy, logic, ethics, rhetoric, and mathematics. Aristotle 384-322 Aristotle was a Greek philosopher, a student of Plato and teacher of Alexander the Great. His writings cover many subjects, including physics, metaphysics, poetry, theater, music, logic, rhetoric, linguistics, politics, government, ethics, biology, and zoology. Together with Plato and Socrates (Plato's teacher), Aristotle is one of the most important founding figures in Western philosophy. Aristotle's writings were the first to create a comprehensive system of Western philosophy, encompassing morality and aesthetics, logic and science, politics and metaphysics. Apollonius of Tyana and His Historicity - Maria Dzielska -- one of the foremost of authors on Apollonius. Philostratus - "The Life of Apollonius of Tyana", published c.220 CE, extracts of Coneybeare's translation. G.R.S. MEAD - The Philosopher Explorer and Social Reformer of the First Century AD, published 1901. LITERATURE of Apollonius - A collation of the books, literature and letters of Apollonius. The Eusebian Treatise - Fourth century calumny of the memory of Apollonius; politics at its best. Apollonius ONLINE - Chrestos Publishers have presented their new book online. Asclepius - Apollonius was once a priest of Asclepius..
Nicomachus of Gerasa ? ? Numenius of Apamea ? ? Mani the Persian Sage 175-242 AN ASIDE in Persia ..."Founder of Manichaeanism"
Mani the Christian Heretic 175-242 AN ASIDE in Persia ..."Paraclete of Jesus"
NB: This reference to Mani has been inserted not as a reference to "The Apostolic Lineage of Platonism" but as a reference to further Eusebian "Historical Corruption" of sources (the process of "Christianization"). Eusebius and his continuators (eg: Augustine) assert that Mani, who had quite possibly been inspired by Philostratus' account of Apollonius' treck to India, and who had conducted the same Indian pilgrimage, was a "christian", and a "heretic" at that. The "Christianization" of the Persian Sage Mani is sketched. Ammonius Saccas 175-242 Ammonius Saccas - The "Founder of Neoplatonism": Wiki | Google | Phil Norfleet | 1911 | Wace | Blavatsky | Wiki | A Greek philosopher from Alexandria who was often referred to as one of the founders of Neoplatonism. He is mainly known as the teacher of Plotinus, whom he taught for eleven years from 232 to 243. He was undoubtably the biggest influence on Plotinus in his development of Neoplatonism, although little is known about his own philosophical views. Later Christian writers stated that Ammonius was a Christian, but it is now generally assumed that there was a different Ammonius of Alexandria who wrote biblical texts. Ammonius Saccas 175-242 Ammonius Saccas: the Christian Teacher? Ammonius of Alexandria was a Christian philosopher who lived in the 3rd century. He is not to be confused with Ammonius Saccas, the Neoplatonist philosopher, also from Alexandria. Eusebius, who is followed by Jerome, asserted that Ammonius was born a Christian, and remained faithful to Christianity throughout his life. He wrote that Ammonius produced several scholarly works, most notably The Harmony of Moses and Jesus. Eusebius also wrote that Ammonius composed a synopsis of the four canonical gospels, traditionally assumed to be the Ammonian Sections, now known as the Eusebian Canons. Eusebius attacks Porphyry for saying that Ammonius apostatized early in his life and left no writings behind him, but Eusebius was presumably confusing Ammonius with the Neoplatonist of the same name. Early Alexandrian Christianity - Robert M. Grant; Page 133 of 133-144, Church History > Vol. 40, No. 2, Jun., 1971. Eusebius and the Life of Origen: "Nearly everything that is recorded about the early history of Alexandrian Christianity lies in the Church History of Eusebius. Many Alexandrian theological writings are preserved, but as we might expect they cast little light on historical events. Now the basic difficulty with Eusebius's work is that it has to be classified as "official history". It therefore contains a judicious mixture of authentic record with a good deal of suppression of facts and occassional outright lies. He wrote it in defence of himself and his friends and their outlook toward the nascent imperial church establishment under God's messenger Constantine..... For Eusebius, Origen was the hero of the whole Alexandrian-Caesarean axis. "Origen the Platonists is almost (but not quite) certainly a different person than Origen the Christian and his interpretation of the Parmenides was very unusual." 6.... Anatolius was an Alexandrian by birth. In learning and skill in Greek philosophy, such as arithmetic and geometry, astronomy, and dialectics in general, as well as in the theory of physics, he stood first among the ablest men of our time, and he was also at the head in rhetorical science. It is reported that for this reason he was requested by the citizens of Alexandria to establish there a school of Aristotelian philosophy. 13 Anatolius did not write very many works; but in such as have come down to us we can discern his eloquence and erudition. In these he states particularly his opinions on the passover. It seems important to give here the following extracts from them. 14 From the Paschal Canons of Anatolius. "There is then in the first year the new moon of the first month, which is the beginning of every cycle of nineteen years, on the twenty-sixth day of the Egyptian Phamenoth; but according to the months of the Macedonians, the twenty-second day of Dystrus, or, as the Romans would say, the eleventh before the Kalends of April. 15 On the said twenty-sixth of Phamenoth, the sun is found not only entered on the first segment, but already passing through the fourth day in it. They are accustomed to call this segment the first dodecatomorion, and the equinox, and the beginning of months, and the head of the cycle, and the starting-point of the planetary circuit. But they call the one preceding this the last of months, and the twelfth segment, and the final dodecatomorion, and the end of the planetary circuit. Wherefore we maintain that those who place the first month in it, and determine by it the fourteenth of the passover, commit no slight or common blunder. 16 And this is not an opinion of our own; but it was known to the Jews of old, even before Christ, and was carefully observed by them. This may be learned from what is said by Philo, Josephus, and Musaeus; and not only by them, but also by those yet more ancient, the two Agathobuli, surnamed `Masters,` and the famous Aristobulus, who was chosen among the seventy interpreters of the sacred and divine Hebrew Scriptures by Ptolemy Philadelphus and his father, and who also dedicated his exegetical books on the law of Moses to the same kings. 20 The same writer has also left the Institutes of Arithmetic, in ten books, and other evidences of his experience and proficiency in divine things. Porphyry c.234-305 Porphyry attributed as Christian author by Eusebius and others. Arius of Alexandria 250-336 the "Christian presbyter of Alexandria"
Arius of Alexandria 250-336 The "Porphyrian" and "Platonic Philosopher" of Alexandria"
Emperor Julian 331-363 Julian was a Platonist. Plutarch of Athens 350-432 ? Hypatia of Alexandria c.370-415 Murdered by the Bishop Cyril of Alexandria? Hierocles of Alexandria c.430 ? Justinian confiscated all the funds devoted to philosophic instruction at Athens, closed the schools, and seized the endowments of the academy of Plato, which had maintained an uninterrupted succession of teachers for nearly 900 years. According to the historian Agathias, after the closure, Damascius and several other Academy members fled to Persia where they obtained protection from the Sassanid king Chosroes I at his capital, Ctesiphon. The refugees took with them many important scrolls of philosophy and science. Unfortunately these last few Platonists found that their life remained difficult in Persia due to the hostility of the local Zoroastrian clergy.